Like I said in my previous post, rice is something that I watched my mom make every single day while growing up. There were three things that we ate religiously, arepas for breakfast, white rice as a side dish for lunch and dinner and beans. These three are pretty much part of a good Colombian diet. To this day I still remember when she took her time to tell me very clearly all about the 1:2 ratio. If you don’t know what that means, it is the amount of rice to the amount of water you will need to make perfect, fluffy rice. 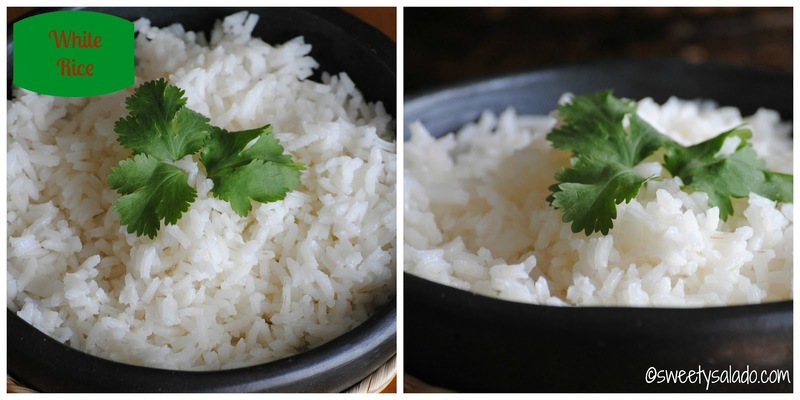 For each amount of rice, you need to double the amount of water. So if you want to make one cup of rice you will need two cups of water. Two cups of rice will need four cups of water. Half a cup of rice will need one cup of water and so on. That’s pretty much the basic formula to making good rice. Now, you can choose to make it with something else like chicken broth or vegetable broth but I never do because rice is a complimentary dish, it is mainly served with a stew, with beans, with a saucy main dish or even with soups, as it’s always the case in Colombia. So, in my opinion, the juices from those other dishes will give your rice that extra flavor and there’s really no need to use an extra ingredient to enhance it. But, like always say, you can do whatever you want to do in your kitchen and you can add or take away anything you want. You can also use any type of rice, whichever you prefer. I always use long grained rice because it’s what I’ve always used, just remember that this type of rice takes a little bit longer to cook than a shorter grain. I also never wash it because there is really no need, besides rinsing it will take away what little vitamins and minerals it has and I want to keep those in. As for brown rice, not a big fan of it. I know it’s healthier and more nutritious because of the fiber content and everything else but I just don’t like it, never have and at this point in my life, I know I never will. However, I know that many people really enjoy it, my sister being one of them and so I’ve also posted the recipe on how to make it. 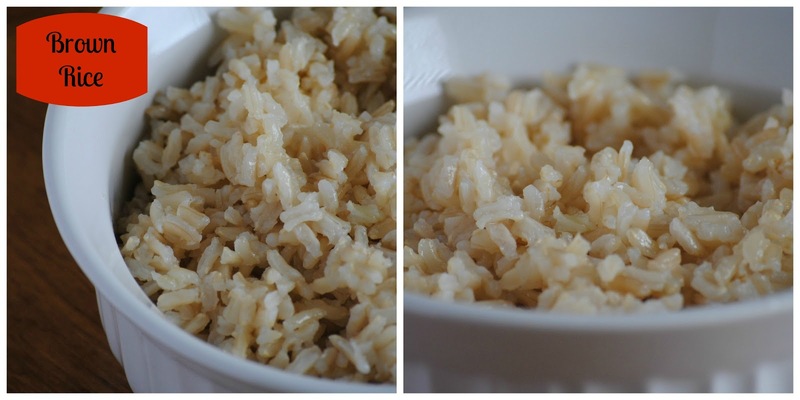 So, without further ado, here are the recipes for making white and brown rice. 1. Put water in a medium sized pot and bring to a boil. 2. Add rice, oil and salt. Stir and cover. 3. Reduce heat to the lowest setting in your stove and cook for 20 minutes. You’ll know your rice is done when all the water is gone and small holes or dimples appear. 4. Remove from heat and let rest for about 5-10 minutes. Fluff with a fork before serving. heat to the lowest setting in your stove and cook for 45-50 minutes. 4. Turn off the heat and let it rest on the same burner for about 5-10 minutes. Fluff with a fork before serving.